As strides in biotechnology propel the development of new therapeutics, big hospitals have become new hubs for R&D and clinical trial partners to aspiring drug developers, stepping up as important stakeholders in the biopharma business ecosystem. Eyeing this integration, a South Korean medical doctor-entrepreneur with more than 20 years of hospital operations under his belt, has set out to capitalize on the hospital-pharma business ties and synergies to make new drug R&D a faster and more efficient endeavor. “Right now, it takes immense time and money for a firm to develop a new drug substance, conduct clinical tests to guarantee efficacy and safety, and to commercialize the drug for use by real patients,” said Lee Wang-jun, chairman and CEO of Korea’s Myongji Hospital, in an interview with The Korea Herald. Lee, a graduate of Seoul National University’s College of Medicine, has been operating for decades multiple general hospitals across Korea, including Myongji Hospital in Goyang, Gyeonggi Province, and Jecheon, North Chungcheong Province, the Incheon Sarang Hospital and two medical facilities for seniors. He is also the founder and head publisher of Korean Doctor’s Weekly, a Seoul-based medical newspaper formed in 1992. According to the 54-year-old chairman, hospitals today are becoming more than mere health care service providers. They offer R&D resources, clinical trial support and more to drug developers working to develop and commercialize new drugs, taking an active role in the biopharma business chain. Over the years, hospitals in the US have become more research-driven and more open to collaboration with biotech businesses. And Korea is also starting to follow in their footsteps, though it has yet to see many exemplary cases to date, Lee noted. In light of this, the Myongji Hospital chairman said he wants to become among the first figures to successfully set this collaboration model in motion in Korea. As part of the vision, Lee acquired the Kosdaq-listed molecular diagnostics firm MGMed -- now renamed as Cancer Rop -- from Korean genetic sequencing service firm Macrogen last October. 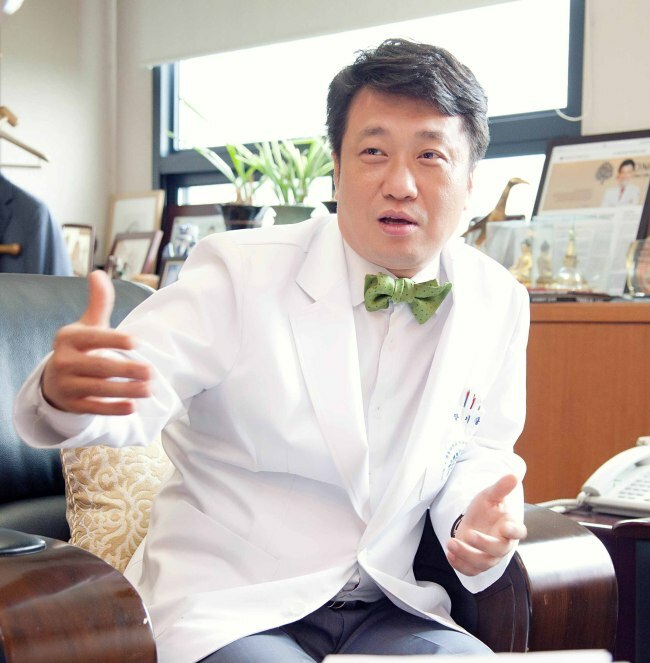 By leveraging the resources of Myongji Hospital as well as other Korean hospital networks, Cancer Rop expects to carry out its end-to-end drug R&D procedures in a speedier and more efficient manner compared to others, the chairman said. As its name suggests, Cancer Rop will focus on developing next-generation drugs for cancer. It specifically wants to focus on developing new immunotherapies for cancer using peptide-related technologies. To do this, the firm is looking into mergers and acquisitions. Cancer Rop wants to acquire biotech companies that possess new immune-oncology drugs and technologies, for which talks are currently ongoing, the chairman said. Potential acquisition candidates could include UK-based Oxford Vacmedix, a biotech venture spun off from Oxford University in 2012, which is already engaged in a joint research partnership with Myongji Hospital. Oxford Vacmedix develops immune-therapy agents for cancer by leveraging its proprietary recombinant overlapping peptide technology. The agents are designed to deliver immunotherapies -- which activates the body’s immune system to directly attack cancerous tumors -- more efficiently and economically. Once Cancer Rop is able to secure a viable immune-oncology drug candidate, the company’s drug development procedures will be carried out with Myongji Hospital as a base, Lee said. 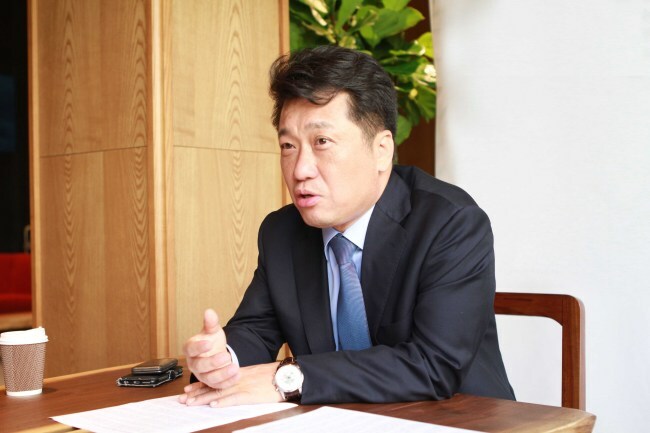 “Leveraging Myongji Hospital as well as an array of other hospital networks, we want to carry out the development and clinical testing procedures faster than others,” said the chairman. Looking ahead, Cancer Rop hopes to get its pipeline ready to go this year, and begin initiating its phase 1 clinical trial process for its drug candidate by 2019, Lee said. “Unlike many biotech venture founders whose goal is to develop a promising drug candidate, license out the substance, and make an exit, I have a more ambitious vision,” said the chairman.